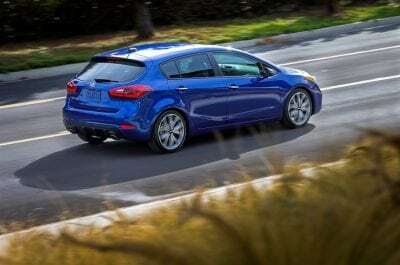 To compete in the compact car segment requires versatility and chameleon-like flexibility. No, a car doesn’t have to blend in to its environment, in fact it helps if it stands out. My tester this week certainly does that. 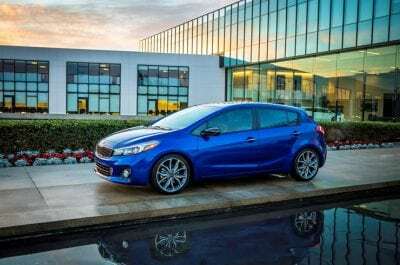 The chameleon-like ability of the Kia Forte pertains to the fact that this car is three different cars in one name badge. The compact Forte is available as a four-door sedan, a two-door coupe (to be discontinued) and a five-door hatchback. It’s best suited as a hot little hatch, which is the version I drove this week. The 2017 Kia Forte SX five-door is different from the other Fortes in more than just styling and door counts. It’s sportier, more aggressive and is the most enjoyable to drive of the Fortes. Standard Fortes get a new 2.0-liter engine for 2017. 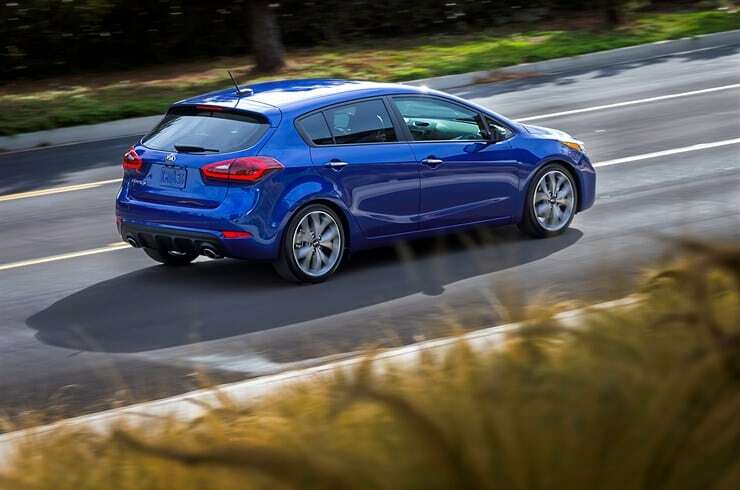 The SX hatch gets a 1.6-liter turbocharged engine that makes 201 horsepower and 195 lb./ft. of torque. The 200+ horses make this Forte quite exhilarating and enjoyable. 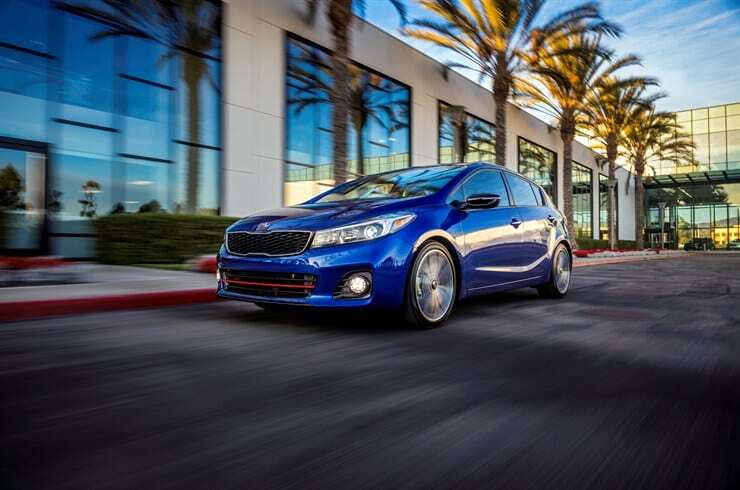 The squatty styling offers incredible handling as the Forte hatch feels and performs like a Rally car. My tester had a seven-speed dual-clutch automatic transmission although there’s a six-speed manual option too which will make enthusiasts happy. 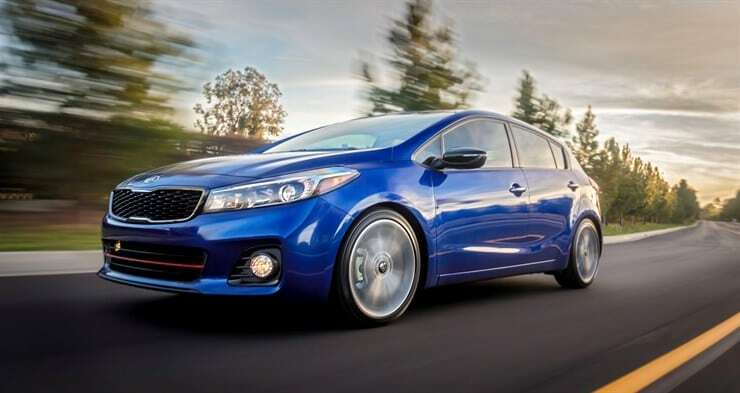 The Forte hatchback is aimed at the enthusiast/tuner market. 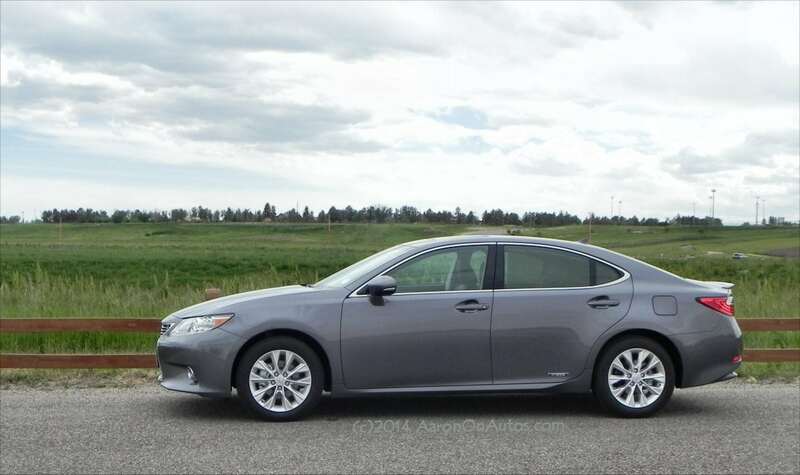 This car will resonate well with the younger driver who doesn’t need a big car but still wants to have fun when driving. This is the sweet spot of the Forte. As a hatchback, the Forte is attractive. In fact, I’d just as soon see Kia drop the sedan option altogether, but they won’t so they can continue to rival the Corolla and Civic. 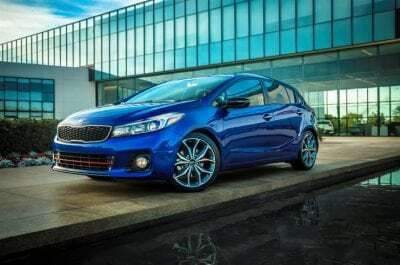 In the compact segment, hatches just look nicer and that’s certainly case for the Forte. For this model year, there’s some new exterior styling. The grille is more aggressive looking and the addition of adaptive Xenon headlights give it a more modern finish. LED tail lights also jazz up the back end which is already one of the better sides of the Forte. The bulbous back end has a spoiler on the top which adds a sporty element to this hot-looking hatch. 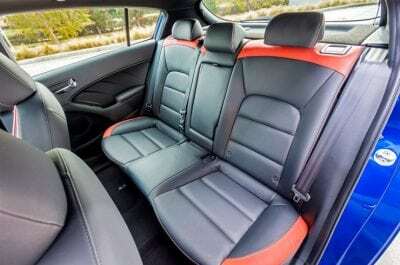 Inside, the Forte’s interior is above average for the economic-focused segment. When compared to a car like the Corolla, the Forte’s interior is far better. Kia has always focused on quality interiors and offering value inside the car. 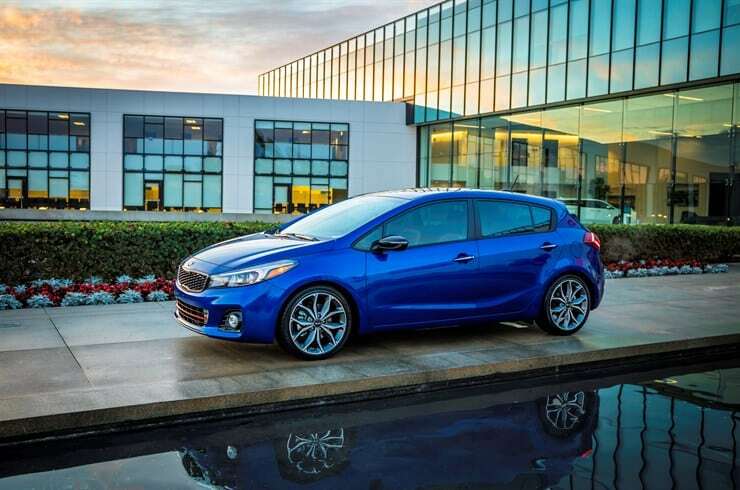 That’s certainly the case this model year with the Forte. Front seats are comfortable with heated leather seats. The back seat has ample legroom for even tall passengers. However, with the slope of the hatch on the C-pillar, some head room is sacrificed. There’s 23.2 cubic feet of cargo room in the hatchback. This is a competitive number within the compact segment. The sedan has only 14.9 cubic feet. There is a 60/40 rear split to help with cargo loading. Kia’s UVO infotainment system is good, not great. It doesn’t do anything exciting, but it’s reasonably intuitive. New for this year is compatibility with Apple and Android phones with Apple CarPlay and Android Auto. A seven-inch touchscreen is standard. My tester came with the Premium Technology Package that also includes an advanced sound system, navigation system, blind spot detection (much needed), ventilated front seats and a power sunroof. The Forte SX has a starting MSRP of $23,800 making it a very affordable hatchback. With the added technology package, my tester had a final MSRP of $28,420, making it competitive with a comparable Civic and Mazda 3. 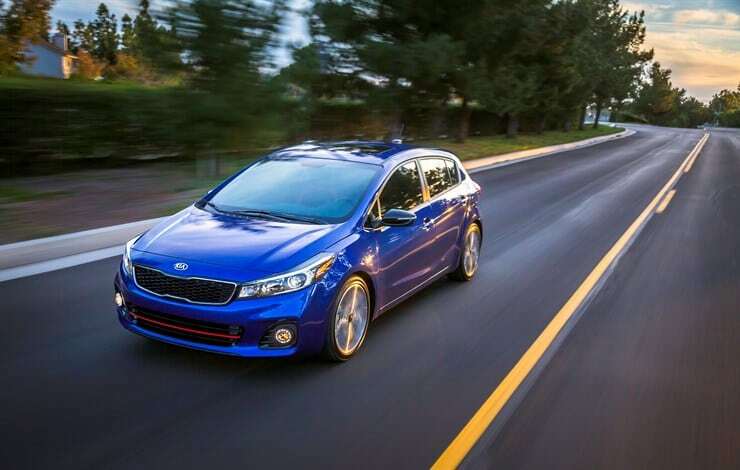 The Forte SX has an EPA rating of 25 mpg/city and 30 mpg/highway. In a week’s worth of heavy-footed driving, I averaged just over 25 mpg. I openly admit to not driving it in a fuel-efficient manner. It was just too much fun to drive. And that’s the gist of what makes the Forte a contender. As a hatchback, it’s so darn fun to drive that it must be considered over some of the more boring names in the compact segment.